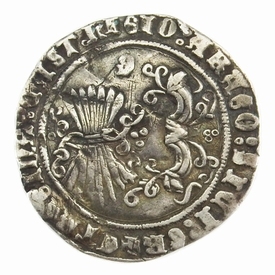 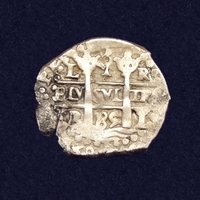 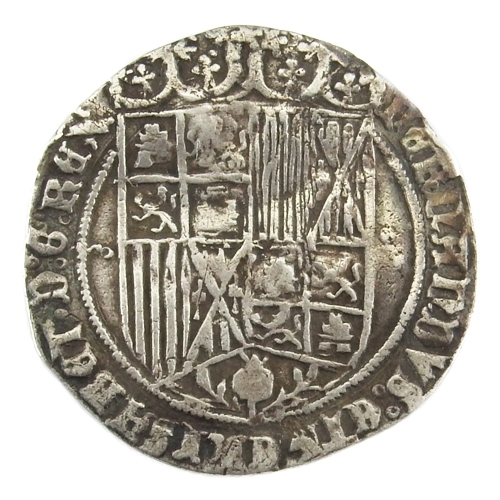 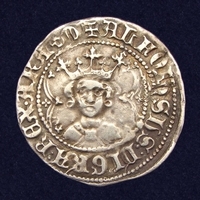 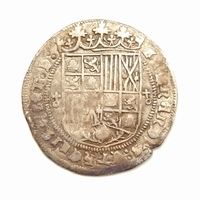 Silver Real, struck in Granada under the Catholic Monarchs Ferdinand II of Aragon & Isabella (1469-1504). 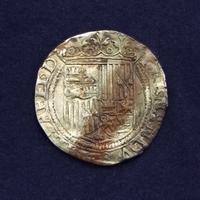 Obverse: Crowned shield of Castile-Leon and Aragon. 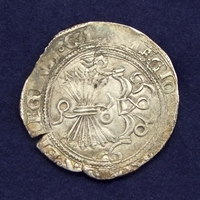 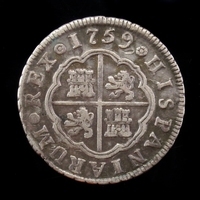 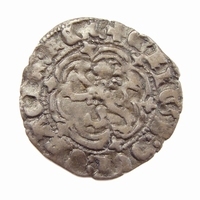 Reverse: Yoke with traces and sheaf of arrows, G (mint mark Granada).